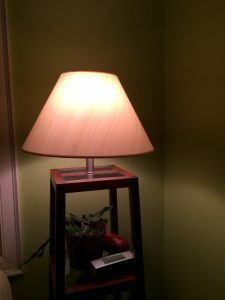 Have you ever really paid attention to the lighting in your home? I mean if it was really showing off the colors of fabrics on wall color? I am very aware of the lighting when I am choosing a room to take pictures of a project or recipe but not the other rooms that we just “live in”. 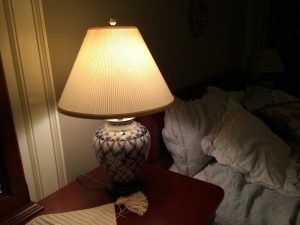 I will show you how subtle a room can change by simply replacing the light bulbs you currently use for GE Reveal Halogen bulbs. I was provided samples to conduct this review but the opinions expressed are 100% my own. 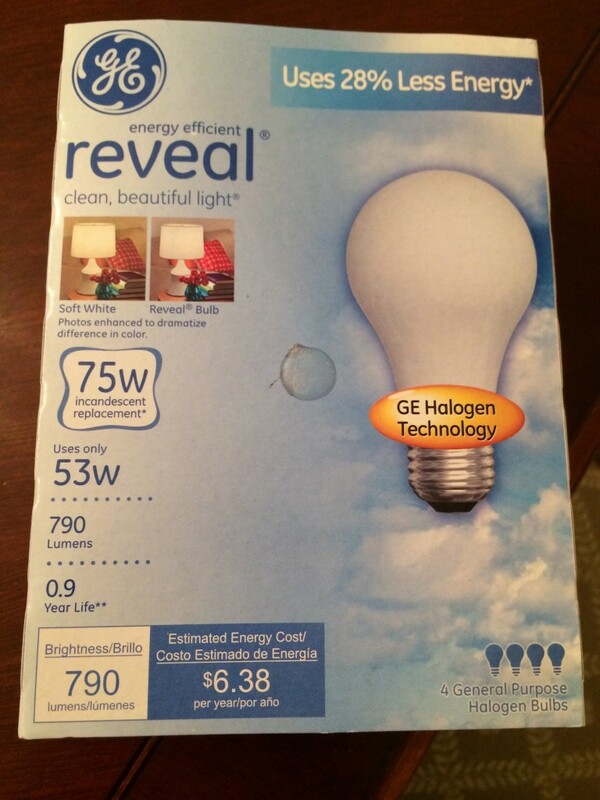 GE Reveal Lightbulbs can really make a change in the appearance of your room and potentially your wallet. 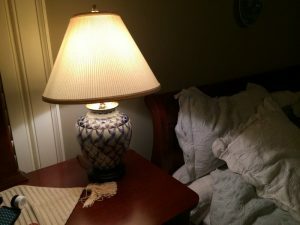 I had not really paid too much attention so I thought I would try a few different rooms and see what a difference these did for my room makeover. Create the perfect lighting environment with the long-life, energy savings, and the clean beautiful light of reveal®. They bring the true beauty of your home to life by filtering out the dingy yellow tones unlike standard incandescent bulbs. The color-enhanced full spectrum light bulbs make your whites appear whiter, reds redder, and allow patterns throughout your home to “pop”. The light from reveal® bulbs that many consumers have come to love is now seamlessly integrated into LED bulbs for several of your home’s lighting applications. OK don’t mind all the clutter but you can really see the color green of the walls now. Not as dramatic difference but looking at these pictures I think I need some new bedding, pretty dull… Spring project! There are a lot more dramatic views from rooms to dressing areas provided by interior designers and make up artists on the GE reveal Lighting web page. Start the new year with more energy-efficient lighting and capture those colors and fabrics you love so much during the day. Be sure and buy them at your local Target and check on their prices through the Cartwheel app for Android or IOS. 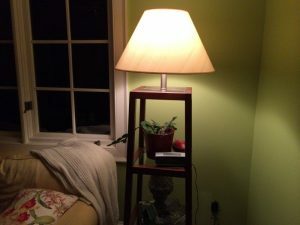 Looks like they made a big difference in the living room – great post!